Heise scored more than 200 goals in her high school career and led the Wingers back to the state tournament this season. 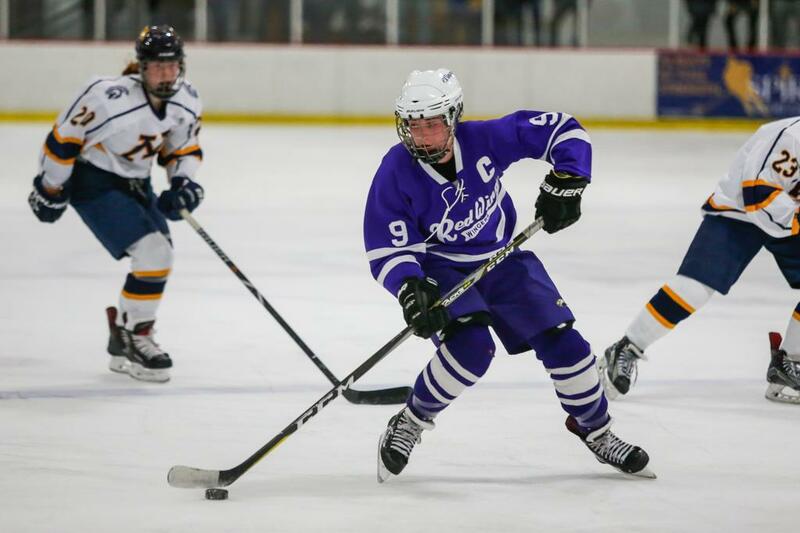 Red Wing teammates consider senior forward Taylor Heise an inspiration for her hard work, easy personality and remarkable talent. If her four Class 1A state tournament trips and more than 200 career goals weren’t enough, Heise’s Ms. Hockey selection brings more credibility to southern Minnesota hockey talent. “Representing southern Minnesota – some people think it’s weird that I say that but we’re not close to here – I want those younger girls to have this as their aspiration,” Heise said after Sunday’s banquet at the St. Paul RiverCentre. Despite growing up within a basketball family in Lake City – her father, Tony, wore a Lake City Basketball hooded shirt Sunday – Heise made hockey her aspiration from a young age. Hockey was not offered in high school in her hometown, so she drove 25 minutes north to Red Wing. She became a top player nationally. In January, Heise won her third gold medal with the U.S Under-18 national team. She served as team captain and earned tournament most valuable players honors. She signed to play at Minnesota. Heise headlined an impressive class of finalists selected by Let’s Play Hockey magazine: Madison Bizal of Elk River/Zimmerman, Emily Oden of Edina, and Centennial linemates Gabbie Hughes and Anneke Linser. Alexa Dobchuk of Eden Prairie won Senior Goalie of the Year. Winners are chosen based on voting by a panel of Division I and III women’s college coaches and high school coaches.